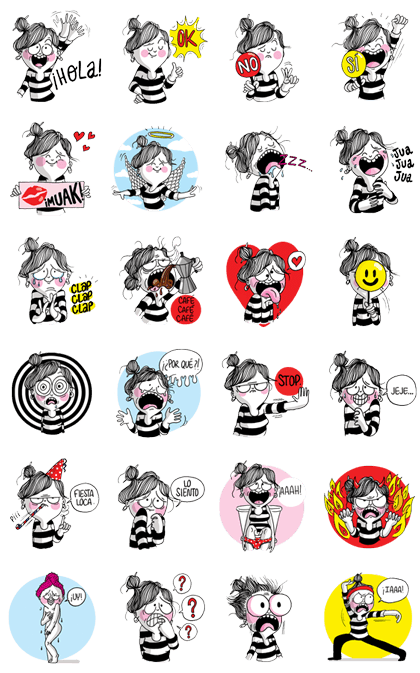 http://www.line-stickers.com/ – Diario de una Volátil Line Sticker | Diario de una Volatil or Diary of a Volatile. Tragicomical stickers for screwy and unstable situations. This set captures the humor inherent in everyday life. Let these stickers remind you and your friends how to smile again when life gets a little crazy. She is exuberant, over-the-top, and cynical but always fun! Spice up your conversations with this new sticker set!